So in the last ATPW wrestling article I wrote, I focused on the UK’s wrestling exports, the wrestler's successes as well as just how much of an influence UK wrestling has in the world and that is a great thing, a fantastic position for the wrestling industry to be in. However, what plan does UK Wrestling have to continue the success. When big names leave, promotions and fans need wrestlers to replace them, to fill the void that was created and to guarantee there isn’t a downturn due to their absence. There should be plans in place for the next generation of wrestlers to stand up, be accounted for and be the names that when fans hear they are going to be on a show, they flock to that show knowing it’s going to be an excellent event. Let’s be honest here, fans in UK and Ireland are damn lucky at the moment. We are spoiled with a barrage of incredible wrestling talent, I mean you only have to look at the events from September leading to November to see what I’m talk about. PROGRESS hosted 2400 people in Brixton, I was there, it was an amazing show with fantastic wrestlers and a fantastic atmosphere to match, in November, ICW will be holding Fear and Loathing in the Glasgow Hydro and the tickets available are already dwindling. I highlight these two events these two promotions because their rosters aren’t just made up of one promotion, they are a roster of talents across the country, with wrestlers not exclusive to any one promotion they represent the level that the wealth of talent the UK and Ireland has. But then you realise that there are many other promotions in the UK with other fantastic talents representing them too. Now it looks as if for the time being the future of UK Wrestling is looking great, with talents like Trent Seven, Chris Ridgeway, Kenny Williams, Viper, Jinny and Alex Windsor to only name a few, the future of wrestling is pretty damn safe. But why is that though, why is the wrestling industry thriving so well? Is it just the promotions that deserve the credit, well not just them but the hard work of the training schools (trainers and students) across the UK is definitely a focal point of that success. 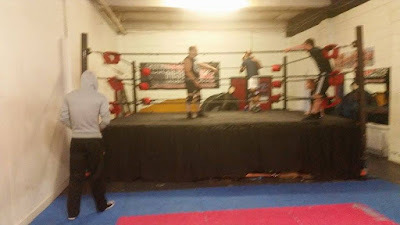 Within the UK there are numerous reputable wrestling schools intent on making sure that their students get the best training that sees them aiming towards a career in the wrestling industry. What students may or may not realise is that they are the future of UK wrestling and yes reading that statement sounds dramatic, it even sounds like some climatic speech from an inspirational movie but how is it less true. Seriously think about it, fans of wrestling within the UK have already started to see their fan favourites depart to the next stages of their wrestling career, but who is going to replace them and even more so, who have the promotions got for the public to identify with as their next star. It is at this moment in time, those promotions are starting to reap the rewards of their forward thinking from a few years ago by seeing the bigger picture. Never before within the wrestling industry as a whole has the independent wrestling scene witnessed the mainstream promotions scout and sign new talent with such alarming frequency. While this may sound like a fan’s dream, if you become a wrestler you will become signed to the big leagues, and it’s a great career from there on in, it’s just not like that. If you're a fan and you're just starting out and you're wondering what your first step to deciding you want to become a wrestler is well your dream is to become a wrestler just became a lot harder, you better work harder and your going to have to excel at what you do to reach the first stage of your wrestling career. This means you better be fully committed to the plan and the realistic expectations laid out by your trainer and yourself, I mean there’s no point saying you can’t make it to a training session because it’s too far but you can make it to a wrestling event you're not involved in that same week and it’s twice the distance. I mean what do I know, I’m not in a training school but I do know that if I’m passionate about something that I love, something that I’m willing to call it my dream and I have a chance of dictating my career path in it then I know I’d be doing everything I can to make sure reach the right stages to achieve that dream. I know it’s not always that simple sometimes the hardest stage of deciding where you want to start your wrestling journey is what Wrestling Schools to attended, I know over social media you hear and read horror stories of unfair trainers and promotions taking advantage of students by not teaching them the fundamentals within a wrestling ring or just not even educating them on basic exercises to prepare them for the toll wrestling can take. This is when you research, this is when you look at the wrestlers and find out where did they get trained, who trained them and what do you want from your wrestling career. If you live in Scotland, let’s say on the Central Belt, then you are treated to some amazing training schools, from the GPWA (Glasgow Pro Wrestling Asylum) that boasts five trainers with almost sixty years of experience on the Pro Wrestling circuit to Premier British Academy that is based in three different locations with three different trainers to teach you a variety of aspects with their wealth of knowledge then there’s Source Wrestling School that was featured in TNA British Boot Camp and as well as having excellent trainers on hand regularly have world travelled guest trainers to take seminars. Within Scotland there are promotions that spearhead their on training such as Wrestlezone in Aberdeen, Caithness Pro Wrestling in Caithness and World Wide Wrestling League as well. But what about England, where is there to train and learn, like I said earlier research and look at the promotions. 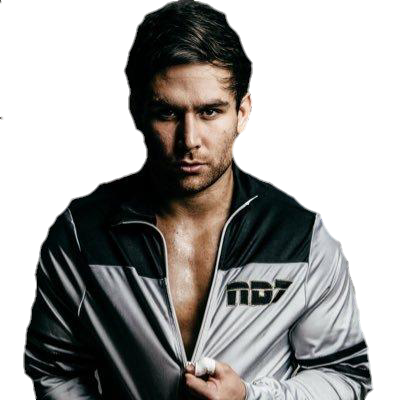 There is the Progress Wrestling School, PROJO based in Camberwell outside Central London that is the training division for Progress, WAW Academy based in Norwich is the longest running wrestling training school in Europe and offers comprehensive training in the field of professional wrestling. Johnny Moss School of Pro Wrestling in Cumbria ran by Johnny Moss, who has 16 years of international in ring experience and 12 years coaching at various levels as well as PCW Wrestling Academy that doesn’t just boast their own in house trainers but International guest trainers as well. These training schools I’ve highlighted are only a few of the vast many within the UK, I can’t stress enough that if you want to join a school/academy to start your journey do you own research and make your own choice on that one. Now, let’s being it back to the wrestling industry right now, when you look at the training schools available, you look at level of skills of the trainee’s and the graduate’s from those schools you can see the results immediately. The work that the trainers have put into kick starting the careers of the trainees and the dedication that those same trainees have shown to progress to perform in front of the fans it’s phenomenal. Seriously the results speak for them themselves, sell out shows, big crowds, fantastic events and at the risk of repeating myself over two articles, this is only just the beginning.